Our worst enemy is sugar. For years we have been told to cut back, but as hard as we try, it’s still a major part of our daily diet, it’s addictive. The average American consumes 46 teaspoons of sugar a day. What’s the problem of eating too much sugar? raises your lipids, especially triglycerides. What’s a carbohydrate got to do with sugar? Our body needs carbohydrates to live. This macronutrient provides energy for our brain, muscles, nervous system and all cells. During the process of digestion, carbohydrates from food break down to form glucose or blood sugar. When the body senses an over-abundance of blood sugar, it automatically produces insulin to balance the sugar. But this over-production of insulin stresses the body’s organs and leads to disease. That’s why it’s important to distinguish between good carbs and bad. SIMPLE carbs are bad because they break down quickly into the blood stream causing blood sugar to spike. This stresses the liver, pancreas, kidneys, circulatory system and heart, all of which can lead to the health risks listed over the long term. Simple carbs include table sugar, jams, candy, jellies, processed foods, cakes, pies, and soft drinks. For the most part, simple carbs contain no valuable nutrients, just empty calories, so after you eat these foods, you feel lethargic, get hungry quicker, and gain weight. COMPLEX carbs are good because they break down slower in the body, so there is not a quick spike in the blood sugar. Most complex carbs provide vitamins, minerals, and fiber and are found in vegetables, legumes (peas, beans, lentils) and seeds. Legumes are not included in my recipes because of their inflammatory response. Complex carbs provide a general stream of energy throughout the day, and are not converted to fat as easily as simple carbs. The bottom line…all carbohydrates break down to blood sugar or glucose, whether it’s a piece of candy or a slice of whole grain bread. The slower this process happens in the body, the better. I know it is difficult to give up sugar because it has a tendency to be addictive, so take small steps to eliminate sugar where you can. Why do we drink what we drink? Are we hooked by the manufacturer’s promise that the latest and greatest drink will help us perform or concentrate better? The fact of the matter is that manufacturers of sports drinks, juices, and energy drinks are trying to trick us into consuming their product. They try to make us believe that the ingredients they’re putting into their drinks are superior to normal water. According to a study published in The American Journal of Medicine in August of 2004, it has been shown that a higher consumption of sugar sweetened beverages is associated with obesity, and an increased risk of Type II diabetes. These beverages have extra calories and large amounts of rapidly absorbable sugars. These sugar sweetened beverages include soft drinks, fruit drinks, and sports drinks. Numerous sports beverages are available for kids. Which beverage should you buy? The one with vitamins, low calories, or how about electrolytes? There are so many choices, but in reality, they’re just sugar water. Before you can make changes in what you drink, reading the label with accuracy is very important. Most of these beverages are far from being healthy. Many are sweetened with high fructose corn syrup, believed to be one of the leading causes of the obesity epidemic. YOU must understand what you’re consuming. Sugar Sources: You’d think it would be easy to identify the sugar sources. But it’s not always that simple: fruit and juice concentrates, evaporated sucrose syrup, high fructose syrup, glucose-fructose syrup, evaporated cane juice, organic evaporated cane juice, fructose, sugar, cane sugar, crystalline fructose, sucrose, maltodextrin (glucose polymers) and glucose are all hidden sources. Let’s not forget the artificial sugar sources like sucralose and aspartame. Oils: Many times oils such as sunflower oil, coconut oil, brominated vegetable oil, trans fat, and partially hydrogenated oils may be added to some of these drinks and are used as emulsifiers and stabilizers. Vitamins, minerals, amino acids and herbs: There is lots of misleading information when it comes to enhancing beverages with extra nutrients. Become familiar with the nutrients found on the labels: Sodium citrate, Monopotassium Phosphate, Ascorbic Acid, Grape Seed Extract, Ginkgo Biloba, Nicoinamide (B3), Vitamin E Acetate, Calcium Chloride, Potassium Bicarbonate, D-Calcium Pantothenate (B5), Pyridoxine Hydrochloride (B6), Vitamin A Palmitate, Cyancobalamin (B12), Folic Acid, Potassium Citrate, Calcium Lactate Gluconate, Okinawa deep sea minerals, Zinc Chelate, Niacin, Manganese Gluconate, Magnesium Lactate Gluconate, Taurine, l-Carnitine, Inositol, and Glycine. These names are confusing and sound important, but ultimately the amounts of vitamins and minerals in these beverages are typically too low to matter much. Additives and Artificial Ingredients: Many of these ingredients spell trouble. Look for ingredients like glycerol esther of wood rosin, gum acacia, ester gum, xanthum gum, caramel color, pectin, gum Arabic, modified food starch, lemon balm extract, green tea extract, chamomile extract, food dyes, cochineal, titanium dioxide and numerous food dyes. A good rule of thumb, if you can’t pronounce the word, question it. Some are flavoring agents, dyes, and stabilizers for the drinks. 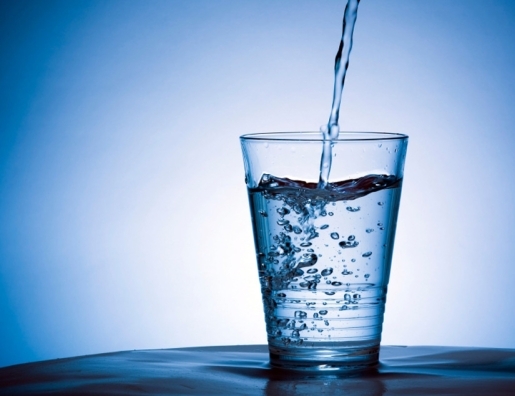 Water: In the sugar sweetened beverages, water is always included unless the drink is 100% fruit juice. 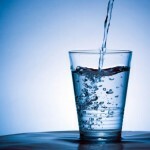 Waters may be listed as reverse osmosis, purified, deionized, carbonated, and filtered. In the end, this makes little difference in the final product. Bottom Line… Read The Label! Simple is better, less ingredients. Water is the preferred beverage. If you are going for a healthier, cheaper beverage and want flavor, add a couple pieces of organic fruit or fruit juice. Add 1-2 T. fresh organic lemon juice to your water to help your body be more alkaline. Millions of people have some degree of vision problems, with cataracts being the leading cause of impaired vision and blindness. A cataract will cloud or cause the crystalline lens of the eye to become opaque. Macular degeneration, another eye disease equally affects people. This disease causes the macula, the part of the retina where images are focused to impair eye vision. An eye healthy diet has been shown to lower the risk of both diseases. Deficiencies of antioxidants are implicated in the early stages of eye disease. Foods are loaded with antioxidants so let’s learn where you can get the most eye power. While eating carrots is helpful, a more varied diet of vegetables will help protect against eye disease, as well as many other types of disease. Cruciferous vegetables like broccoli contain high levels of phyto chemicals that help fight against cancer, protect the retina against oxidative damage, and boost the body’s immune system by helping the body to fight free radicals. Broccoli is loaded with beta carotene, lutein, and zeaxanthinbeta carotene, lutein, and zeaxanthin. Eat all parts of broccoli, flower and stalk included. Broccoli Rabe is related to the turnip and has a bitter taste but sautéed and added to other vegetables or salad is a great way to add it to the diet. Brussels Sprouts are part of the cabbage family. The nutritional benefits far outweigh the strong smell of sprouts. Bake or broil them with a little olive oil and seasoning, enjoy. Cabbage, red or green, a delicious vegetable can be eaten raw in coleslaws and salads or soups and meat dishes. It’s benefits fight free radicals, are anti-inflammatory, cancer fighting, and help protect the eyes. Collard Greens can be added to soups or eaten with butter and salt, are fast becoming acknowledged as being very important for eye health. Very high in calcium, and fiber, it is loaded with. Kale is a nutrition powerhouse and is actually a form of cabbage. This super green leafy vegetable is a great addition to salads or soups. Its powerful ingredients fight macular degeneration and reduce cataracts. Kohlrabi is a low calorie vegetable, similar to a turnip, but is a member of the cabbage family. Eat it raw or cooked and enjoy the benefits of high fiber, minerals, and vitamins that it offers. Becoming more pro-active in improving your eye health begins with you. Daily, add one of these vegetables to your diet to improve your eye health along with salmon, red peppers, and oranges. Everyone’s talking about the “C” word. Cancer has us all scared. However, with the support of bok choy, broccoli, cauliflower, Brussels sprouts, cabbage, collard greens, kale, and many more, your body has a fighting chance. When you hear the “C” word, think cruciferous vegetables. The unbelievable anti-toxin, cancer-fighting powers of cruciferous vegetables have been known for some time. Scientists have been discovering the numerous benefits in broccoli and other cruciferous vegetables for years. Glucosinolate: This phytochemical (plant chemical) when chopped, chewed and digested, turns into isothiocyanates. Sinigrin is one of the cabbage glucosinolates that has received special attention in prevention research for cancer, colon, bladder and prostate cancer. Isothiocynates fight cancer by neutralizing the bad guys or carcinogens. Indole-3-carbinol is another cancer inhibitor compound formed when these vegetables are crushed or cooked. Sulforaphane is present in cruciferous veggies which increases the liver’s ability to detoxify and clear the body of the carcinogenic compounds. Bok choy is loaded with indoles. Broccoli and cabbage contain indole-3-carbinol which has been shown to reduce the risk of breast and cervical cancer. Brussels sprouts contain sinigrin. All of these vegetables have sulforaphane, which attack the cancer molecules and remove them from the cell. My favorite is kale. Kale is in the cabbage family and is an outstanding vegetable. It is a leafy green, sometimes red cruciferous veggie, and is loaded with the indoles. Don’t miss adding it to all your salads. In addition to helping prevent cancer, these vegetables are the superstars of being loaded with calcium, iron, Vitamins A, C, and K.
Arugula, Bok Choy, Chinese cabbage, collard greens, horseradish, kale, kohlrabi, mustard greens, rutabaga, turnip, wasabi, and watercress. While cruciferous vegetables may not be your favorite, give them a chance. Here’re some tips. Add any finely, chopped cruciferous veggie to your salads. Add shredded cabbage or chopped kale to all soups. Eat them raw, or slightly steamed with a dip. Add broccoli sprouts or cabbage to sandwiches. Add broccoli, cabbage, or cauliflower florets to marinara sauce for pasta or other Italian dishes. Make your own homemade, cream of cruciferous (broccoli, cauliflower, etc.) soup. Try steaming and topping the veggies with lemon, fresh herbs, olive oil, or other toppings. The appeal to eating cruciferous veggies is simple. They are low in calories, rich in fiber and are nutrient dense. They help you fight cancer and build your immune system. Eat cruciferous veggies every day!